Brighten and Nourish Skin and Tattoos with Electric Ink! Electric Ink Daily Defining Body Oil, RRP £10.95 Available to buy from ​www.boots.com Are your tattoos looking dull and tired? Is your skin feeling dry or tight? Soothe and nourish these worries away with Electric Ink Defining Body Oil​, a unique tattoo aftercare oil for healed tattoos. Electric Ink Defining Body Oil ​moisturises the skin whilst delivering gloss and clarity for a ‘fresh out of the studio’ look that everyone with a tattoo craves. 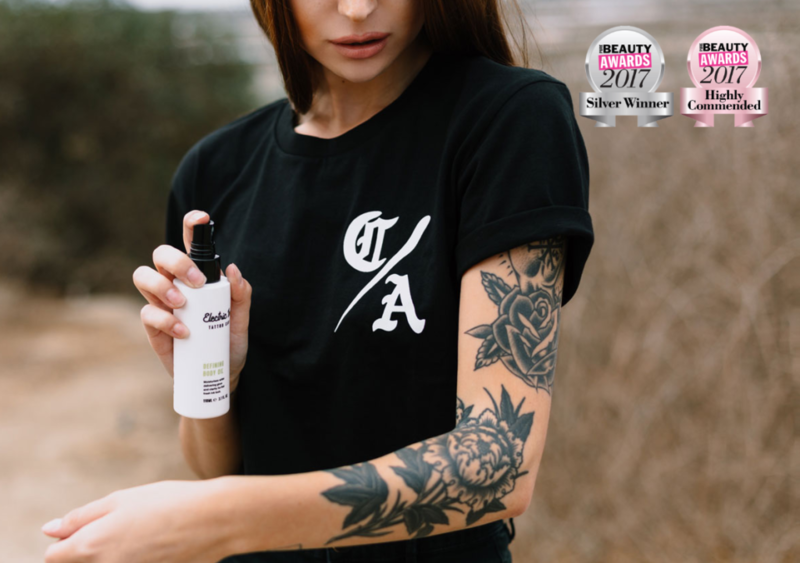 Additionally, the unique aftercare oil is packed with essential actives that hydrate dry skin and improve the appearance of tattoo definition. A few sprays will darken your tattoo and works well on coloured, grey or black inks. The blend of ingredients within Electric Ink Defining Body Oil ​has been carefully chosen to preserve both skin and tattoos. For tattoos that look brighter and skin that feels nourished, look no further than Electric Ink Defining Body Oil​ – try it today and feel the difference! All Electric Ink Skincare products are also vegan friendly and cruelty-free.